Introducing Bird Tricks Fan and Blogger Chrissann Nickel and Her 3 Toco Toucans! Hi, my name is Chrissann Nickel, also known as “The Toucan Lady” from Adventures in Toucanland. I’ve been a big Bird Tricks fan for about a year now, shortly after I adopted my three adult Toco toucans – Paco, Paz, and Pepe (otherwise known as the “Three-Cans”) in June 2011. 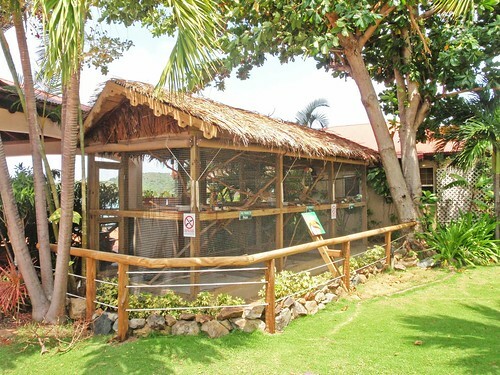 These aviaries were specifically designed for 3 adult toco toucans. Toucans and parrots vary from their extremely different variations of diet to what they can play with and/or destroy. What works for toucans may not be safe and may not work for parrots. 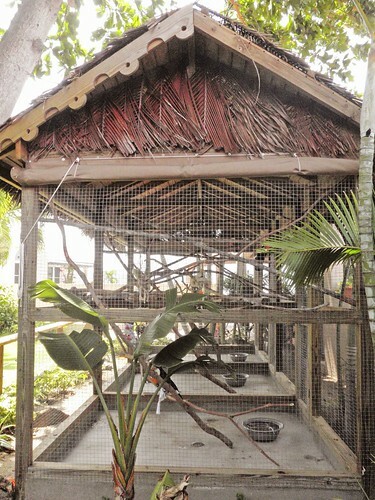 Chrissann from Adventures in Toucanland was kind enough to share how she and her boyfriend David created their aviaries for their three toco toucans on a little island in the Caribbean.